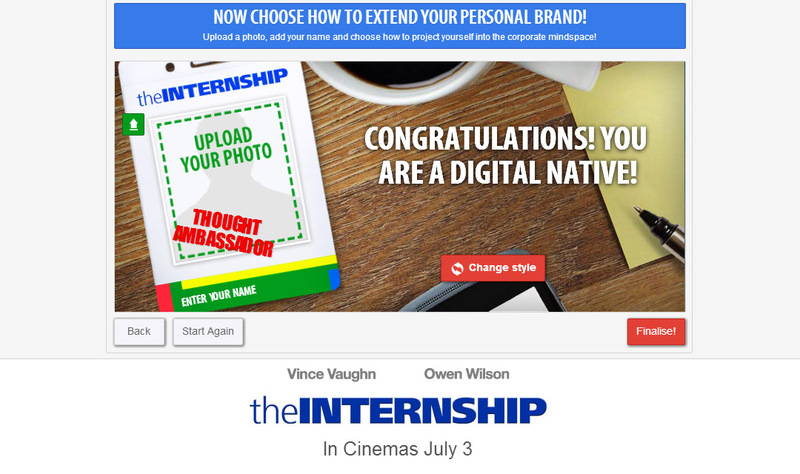 A web app that determines your ideal internship and let's you shout about it from the rooftops. Owen Wilson and Vince Vaughn reunite in THE INTERNSHIP, a comedy about two analogue guys competing in a new digital world. 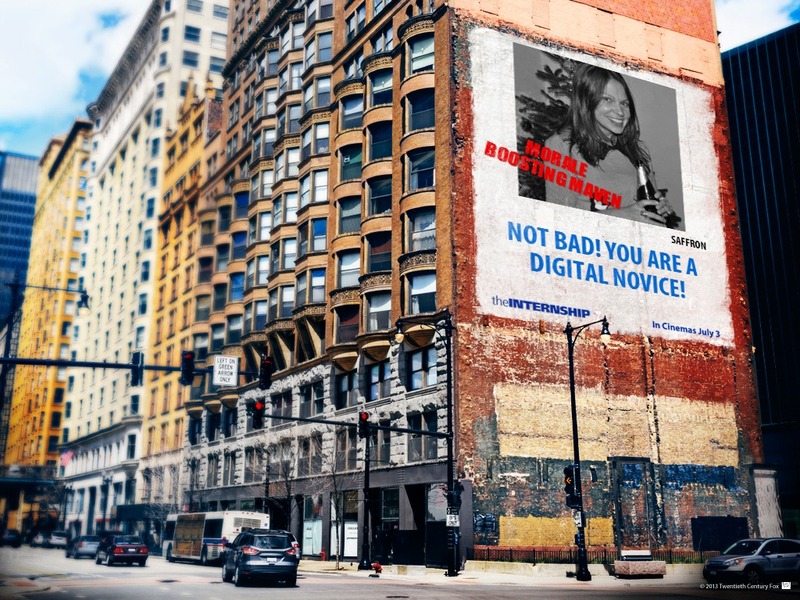 Gearing up to its international theatrical release, we asked the question: are you a digital novice or digital native? A quick quiz determines what internship is right for you and enabled you to flash it around on a customised ID badge, plaster on an outdoor billboard or paint a whole building as the face of the new internship. Built in HTML5, we opted to run the image processing in-browser rather than server side, using Canvas to dynamically add FX, skew perspectives and add live text to the outputs. By no means a simple set-up, the solution enabled the app to run smoothly on desktop, mobile and tablet devices and sped up processing time.